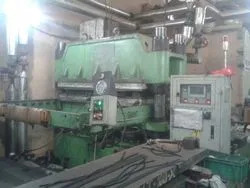 Vikas Rubber Industries was founded in 1976 to provide the market-place with a reliable source of seals & gaskets for Chemical Industries, Fertiliser Plants, Petro-chemical Industries, Captive Power plants, Paper Mills, Food Industries etc. & all large industries like dairies, soft drink plants & breweries. Diversifying gradually, the company came to specialize in all types of machinery & industrial rubber parts and mechanical pump seals. 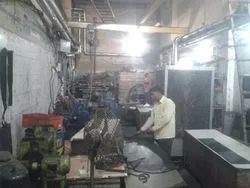 The company has evolved to become a recognized leader in the design, development and manufacturing of gaskets, PHE gaskets, mechanical pump seals, industrial rubber parts in NBR, EPDM, HNBR, VITON rubbers etc & mechanical pump seals. Plate heat exchanger gaskets is now one of our main products, of which we have a large range and are continuously expanding this range by developing new moulds. We are exporting in countries like North Europe, South/West Europe, Australia/ NZ, Indian Subcontinent, North America. We have an individual research and development division, which is run and maintained under a hard working team of R&D professionals. These researchers are continuously involved in research activities which assists us in upgrading our components and to bring out new components with the change in technology. These professional experts properly make use of provided resources in our organization and hence also helps us in maintaining our budget in a certain limit. We also modify our existing range on the basis of client’s feedback. Further, they are also responsible for lowering down manufacturing cost and the cost of our machines. We are one of the leading manufacturer and exporter of a diverse range of Plate Heat Exchangers Gaskets, Industrial Rubber Gaskets, Mechanical Pump Seals, Dairy Machinery Products. These are fabricated using quality material like NBR, EPDM, Neoprene, Viton, Silicon and Butyl. 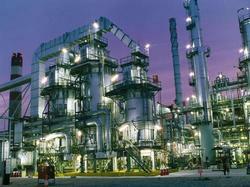 Our range caters to several industries like Chemical, Marine, Power, Oil & Gas etc. For More Details Find The Enclosed Attachment. Our team of highly dedicated and experienced professionals are focused towards their work and maintain a professional manner to execute their responsibilities. In addition, to keep them upgraded with the current technology and market trends, we conduct training sessions regularly. Owing to the co-ordination, hard work and knowledge of our professionals, we have been able to fabricate high quality components. We also strictly check our products with the help of our team of quality analysts, that enables client satisfaction. Our tool and design facility provides expert engineering from design concept through to the final mfg. of the product. This ensures perfect dimensional accuracy. 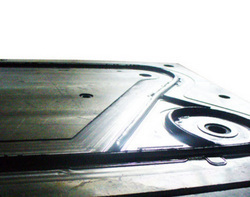 A mould can be prepared within 2-3 weeks depending on the size of the gasket and thus gaskets can be supplied readily depending on the quantity. We stock a large number of gaskets and plates in our inventory which can be readily dispatched in case of an urgent requirement. Orders are carefully packed to avoid any kind of damage during shipment. Depending on the quantity of order and availability of stock, we try our best to dispatch the material asap. We have accounts with various Freight forwarders here to ensure quick delivery or clients can suggest their own forwarders whatever’s convenient and cheaper to them. Door to door delivery can be arranged through UPS, FEDEX if the client requires.